A once resplendent Victorian arcade will again become a hub of activity following plans to develop it into a state-of-the-art business centre. 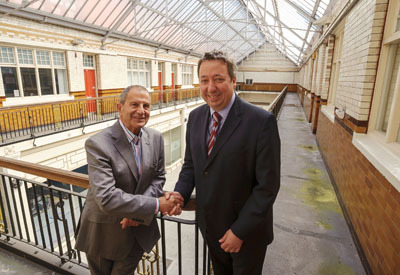 Tameside Council has supported Jersey Street Properties Limited in a bid to the European Regional Development Fund for £1m to regenerate Clarence Arcade, in Stamford Street, Ashton. 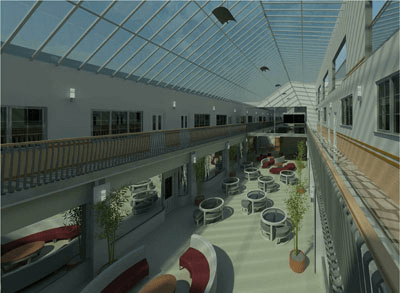 The developers will match fund the grant to transform the beautiful building into high quality offices with high speed broadband, meeting rooms and conference facilities. The scheme will also incorporate a stunning glass atrium as a warm and inviting communal space for users. Clarence Arcade was built in 1894 and was Tameside’s only covered Victorian shopping arcade. In its heyday it was considered to be one of the most prestigious shopping locations in Ashton but its fortunes waned as shopping habits changed. The new development will breathe new life into this part of the town centre, creating opportunities for businesses and increasing footfall within the surrounding vicinity. Work on the development will start in July, with the new businesses centre due to open in spring 2015. This entry was posted in Ashton-under-Lyne Blog on June 24, 2014 by rogerfarnworth.